Space Race Records again seems to have found a new promising band active in the wider electro-pop fields. Hailing from Scandinavia and set up as a solo-project by Johan Hansson, the artist describes his music as ‘Nordic Noir’. “Endemic” is the first official release featuring 4 songs and 4 remixes. The sound clearly mixes electro-pop elements and a few harder body-inspired influences. The music is well-crafted and doesn’t sound at all as a first recording. You’ll notice deep, alluring bass lines and some melodic loops while Hansson vocals are clear and powerful. A few melancholic atmospheres can be heard as well. Among the 4 remixes I especially noticed great contributions from ES23 and especially Mika Rossi (AUTODAFEH). “Endemic” is a successful debut revealing 2 great songs (cf. “Lost Inside” and “Understand Me”), which are quite elaborated and masterly produced. There’s a perfect match between the music and the vocals. The remix of “Lost Inside” by Mika Rossi is a great piece of minimal electro-pop. I can’t say to have heard a real potential hit and that’s a pity. We The North clearly reveals a solid potential carried by a mature production, but I’m missing an extra catchy touch. “Endemic” features several enjoyable songs and cool remixes as well. I’m looking forward to the debut full length to get a better idea about the real potential of the band. 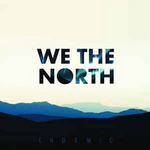 Share the post "We The North – Endemic EP | Review by Side-Line magazine"